We enjoyed completing this project for one of our newer customers. 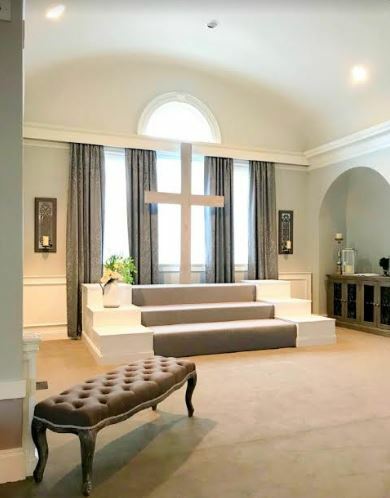 We reupholstered this altar piece and steps. We also created some custom drapes and shades for the windows, which you can see in the background.